DENVER — A little more than a year since the mass shooting at Marjory Stoneman Douglas High School, two survivors recently died by suicide and now just days later, a father of a Sandy Hook shooting victim has done the same. 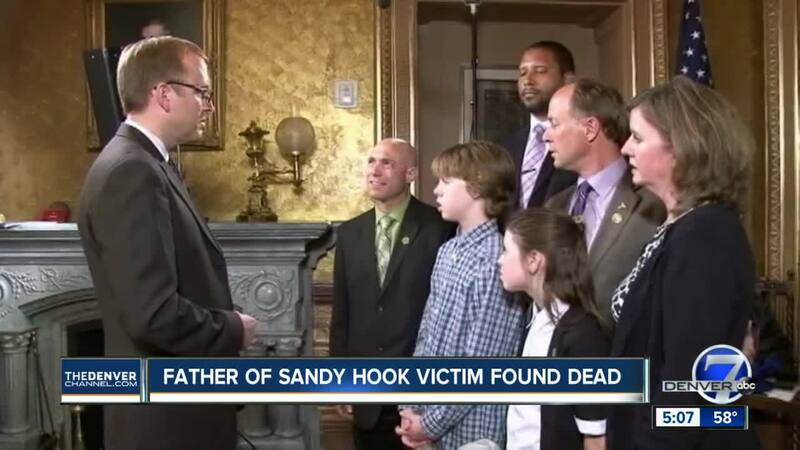 Jeremy Richman, the father of six year-old Sandy Hook victim Avielle, was found this morning in his office in Newtown. Psychologist Mitchell Berdie was part of the crisis response team for the Columbine High School and Aurora theater shootings, helping survivors and first responders through the trauma. "People who have survived mass shootings or the parents of people who have been victims, they are at high risk for mental health stress," Berdie said. "Friends, survivors of Columbine, of the Aurora shooting. My hunch is some of those people are being triggered, having some real intense feelings because of all of this," he said. Richman, who grew up in Boulder, started a foundation with his wife after the Sandy Hook shooting to fund research into preventing violence. "We don't have a political agenda, we just don't want other people to have to suffer through this. We want their passing to mean something to them, to have a purpose," Richman said at a gun control bill hearing in 2013. The Parkland survivors came to Colorado to join communities still affected by the Columbine shootings in efforts to change policy, part of the advocacy movement Vote for Our Lives. "It just doesn't end. It changes who you are and that can be difficult because it's forever," Richman said. The deaths of the survivors are a sobering reminder that the trauma and loss stays with those intimately involved in a mass shooting for their entire lives. "Continually check in with people and ask how they are doing. Are they thinking about suicide?" Berdie said. If you or someone you know is struggling, one of many resources is the Rocky Mountain Crisis Partners. They have a support line available 24/7 at 844-493-TALK.